Comfortable rooms & apartments, new wellness area with various saunas, steam bath, whirlpool and massages, regional and international specialities from our kitchen. Welcome to our beautiful and enchanting hotel! 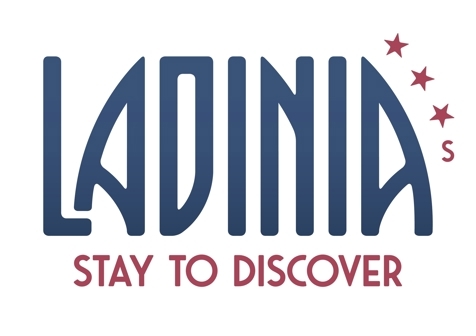 Welcome to Hotel Ladinia *** in La Villa/Stern in Alta Badia! 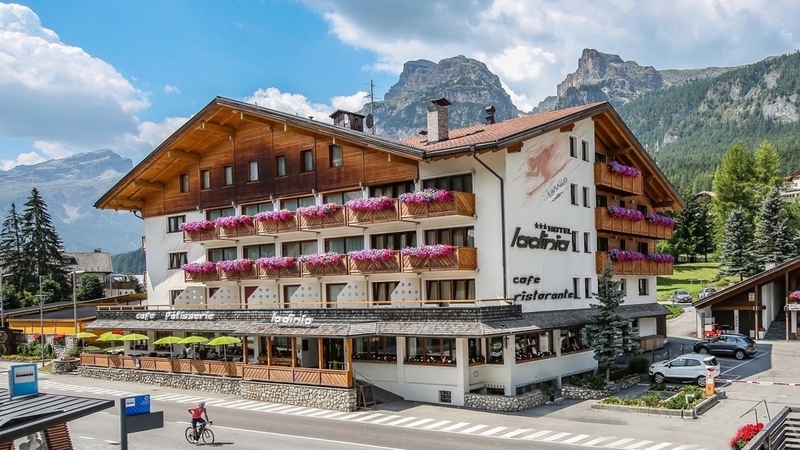 Hotel Ladinia *** is located in the center of La Villa/Stern in the heart of the Dolomites, from 2009 declared a UNESCO World Natural Heritage! A holiday at our hotel will be the most beautiful time of the year, whatever the season or the type of holiday you choose! Alta Badia is a paradise for lovers of active life! The ski area of the Dolomites Superski offers endless kilometers of ski slopes and the Dolomites are the best for lovers of winter sports, hiking and bike. In our hotel you will find a warm welcome, a unique natural paradise and all comforts you need to make your holiday unforgettable! We offer our guests a homely, cozy rooms range from 20 to 45 square meters, neatly decorated in wood, soft colors and with beautiful panoramic views. For guests who prefer to stay in a apartment, just 10 meters far from our hotel, we also offer comfortable apartments equipped with every comfort. Even apartment guests can enjoy the facilities of the Hotel as: spa, restaurant, bar and ski storage. A WiFi connection is available for free for our guests in the rooms and in the public areas. After a day of skiing or a hike there's nothing better than a few hours in our new spa that offers: turkish bath, Almsauna, infrared sauna, bio sauna, Kraxenofen (special heated benches) and a jacuzzi . In addition you can also choose from various massages and beauty treatments. In the evening, our team of chefs, will spoil you with delicacies of local and international cuisine, prepared with love and the best ingredients and organic products of the area. All with view to Gardenaccia, in natural wood, equipped with all standard facilities: minibar, hair dryer, safe and iPod docking station. The shower is separated from the bathroom by a sliding door. With possibility of 3 and 4 bed (only for children).